The Kea Kimono’s color is a grey ombre that reminds us of Kea, a Cyclades island gem in Greece. We imagine a modern woman crossing land and sea for her daily missions in Kea. She needs to feel comfortable and sophisticated for her walks around the city and her little beach breaks. 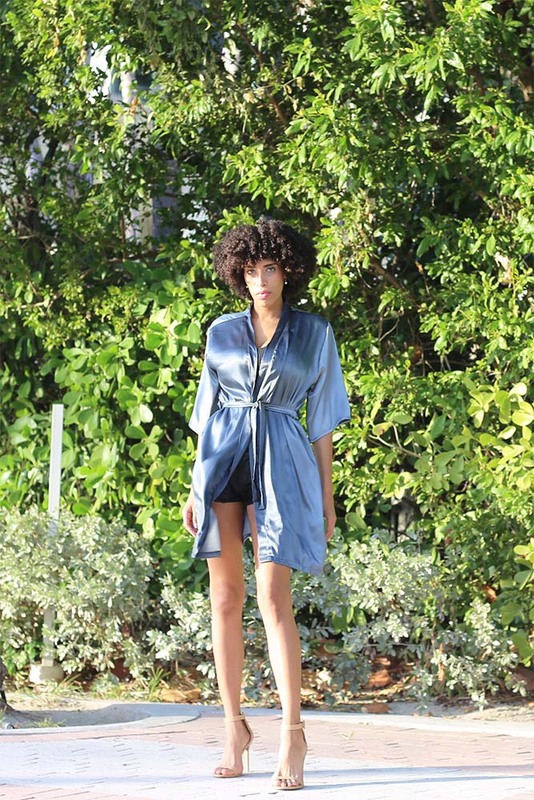 The Kea Kimono will fit her perfectly! The Kimono comes with a matching belt. You can wear it open or tied around the waste. Made with love in Miami (USA) for the beautiful women who inspire us. Our creations are in limited editions only.